When Paul and Silas came to Thessalonica, they changed the community. How? By collaborating with God to bring his kingdom on earth. Will you collaborate on God's kingdom work in your community? If you're ready to see God move in all areas—business, education, media, arts, healthcare, spiritual growth, and more—this is the book for you. 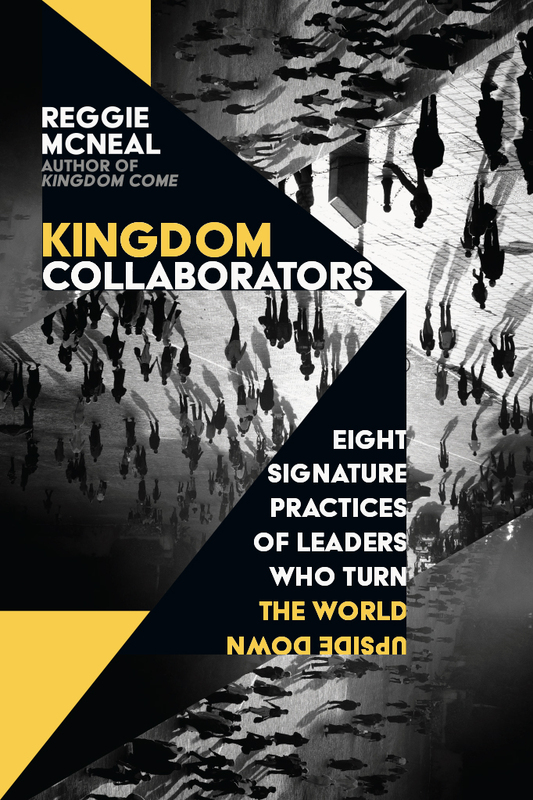 Leadership expert Reggie McNeal offers eight signature practices for leaders who want to partner with God and others for kingdom growth. Readers will gain practical advice to help people experience life as God intends. "Faith communities are critical partners with our city as we serve the growing needs in our community. Affordable housing, childcare, and literacy are just a few of the many areas on which the faith community can collaborate with local government to provide solutions. Once again, Reggie steps up and provides powerful, practical wisdom for leaders." "Do you long to see broken lives restored? New life is the drive of Kingdom Collaborators. Reggie's passion for people is felt on every page, and he lives what he writes. He has helped us to birth a statewide coalition focused on awakening the faith-based community to bring hope to every child through serving our local schools. Be warned—reading Kingdom Collaborators may be hazardous to your comfortable life. It will change your status quo, muddy your hands, and free you from a predictable life!" "Reggie has kingdom vision! For too long the church-as-institution has said 'come' but the Great Commission says 'go.' Reggie's charge in this book affirms, validates, and empowers kingdom leaders to recognize their circle of influence and to go turn this world upside down. This book is a must-read for all believers." "Millennials are largely disinterested in institutional religion, so church-based leadership models are increasingly passé. But few groups are more committed to making the world a better place than millennials. As such, they will resonate with the church-as-movement paradigm called for by Reggie McNeal. Seminaries need to pay attention. This book unfolds the exciting opportunity for pastors to calibrate their ministry as viral kingdom agents of human flourishing and is a call for leadership worthy of our unique moment in history." "No one sees the big picture of God's kingdom better than Reggie McNeal. In Kingdom Collaborators he tells inspiring stories and describes practical steps for how church, business, and social sector leaders can work together for greater kingdom impact. If you are a leader with God-sized dreams and want to know how to make them happen, this book is for you!" "Perhaps, for such a time as this, Jesus is changing our minds as it relates to understanding the call of all people. Perhaps now is the time that God is calling kingdom leaders to agitate for the kingdom, knowing that the agitation and advancement of God's kingdom is done with collective force and efforts. Kingdom Collaborators is the book to arrest your heart, expand your understanding, and prod you to move into God's calling no matter if you are clergy or congregant!" "Using his personal observations, analyses, and interactions, Reggie McNeal has masterfully grasped leadership themes from those who are turning the world upside down. Reggie has written a must-read primer for anyone wanting to make a difference." "Kingdom collaboration is one of the most powerful, challenging, and beautiful enterprises possible. It requires honesty with one's self, faith in God's work through others, and perseverance when every barrier appears to stand against it. Reggie McNeal addresses these issues deeply steeped in the heart of Jesus with compassion for the challenge but urgency to press forward. Thank you, Reggie, for believing in us and cheering us on!" "The transformation of a community begins with the transformation of an individual. Whether one is a leader, collaborator, or follower, Reggie provides kingdom thinking to help unlearn traditions that are hindering our witness and work and relearn biblical principles that will unleash God's people. I believe this inspired book will help Christians join with God in his kingdom agenda, accelerating improvement on societal issues that is so desperately needed." "As a county judge, I routinely deal with individuals and families held captive by the dark kingdom, living far from life as God intends. I need help understanding my leadership role and how to promote the kingdom of God in my community. Dr. McNeal clarifies that responsibility and provides explanations, tools, and examples of kingdom leadership in today's world. Evangelism in 2017 most often begins with a compassionate helping hand extended by influential people who want to be a part of the change." "Some people just seem to always be a few steps ahead of the rest of us. Reggie is one of those people. I pay close attention to everything he writes. His themes are almost always a clear call to what's next, and this book is no exception." "Kingdom Collaborators continues the winsome and wise equipping mission of Reggie McNeal. But this book is much more than the sum of its brilliant analyses and insightful syntheses. Kingdom Collaborators is infused with the life of the kingdom—the breath of the Holy Spirit—from the first page until the last. The eight attributes, applicable stories, and concrete practices are a necessary wake-up call for a Western church often paralyzed by the hostility and indifference outside her walls. The insights are vital to majority world Christianity as well, with its challenges of making disciples that bridge Sunday's ecstasies and Monday's ethics. I was arrested by McNeal's unique combination of gracious and humble storytelling and prophetic confrontation with the status quo that compels both personal and community changes. I heartily recommend this book to all women and men of influence in all domains of society as they work to advance the justice, peace, and joy of the kingdom. These insights will be particularly helpful to church planters and local church revitalizers as they patiently labor for eternal impact." "Kingdom Collaborators is both a declaration of kingdom impact for the soul of the church and a call to eliminate the sacred and secular divide. Reggie McNeal has always been insightful; this book takes his keen insights and fashions them into a highly readable narrative. If you are a pastor, follower of Jesus, or someone who wants to make a difference in our world, this is your manifesto!" "Reggie McNeal shares key characteristics and endeavors of effective Christian leaders who have chosen not to walk in well-worn footsteps but to pioneer transformative new paths in carrying out the Great Commission." John Couch, vice president of education, Apple Inc.
"Reggie gives us permission to see the places and spaces we work and live as our mission field. At Gallup, we often write and speak about the impact of a leader's strengths and their ability to shape culture—the eight principles in this book give leaders the practical steps to do just that." "Jesus began his ministry with slowly deconstructing what religion had become by painting a compelling picture of the reality of God's kingdom. With this as a starting point, Reggie deftly shows us who we need to be in order to reclaim that power and purpose that God had in mind for his world." "I need a book like this to help me see the church and the world through the life-giving lens of the kingdom of God instead of the kingdom of the church. There is profound wisdom in these chapters that will inspire, bless, and challenge any church leader who reads it." "True leaders possess an internal passion to improve themselves for the sake of others. Imagine what could happen if you became such a leader. In Kingdom Collaborators, Reggie McNeal provides a fresh-cut path for anyone willing to increase their effectiveness. It's a journey worth taking because it will deliver what our world needs most: action." "Reggie is an extraordinary friend and leader. He has the incredible ability to cast fresh vision on the work of the church in the world today, challenging Christian leaders to see collaboration as essential to being what Christ has called us to be. This book inspires all of us toward greater unity and commitment to Christ's transforming work." "This book speaks of collaboration outside of the church walls and simply but strongly suggests that we can help drive the mission of Jesus through the work we do as Christians in our communities. As someone whose job intertwines a passion for education and a mission to serve, Kingdom Collaborators speaks to my heart." Reggie McNeal enjoys helping leaders pursue more kingdom-focused lives. He currently serves as a senior fellow for Leadership Network and city coach for GoodCities. In his consulting and speaking, Reggie draws on his experience as a pastor, denominational leader, seminary teacher, and leadership development coach for thousands of church leaders across North America and the world. 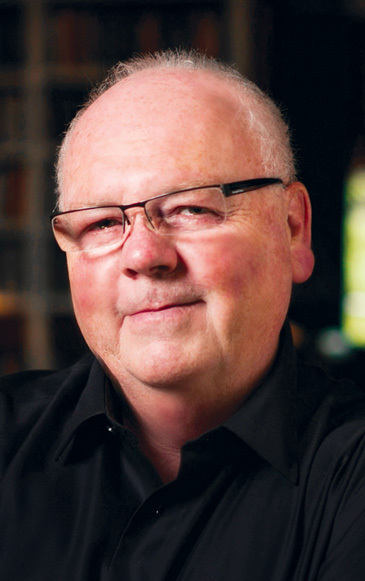 His books include The Present Future, Missional Renaissance, A Work of Heart, and Kingdom Come.